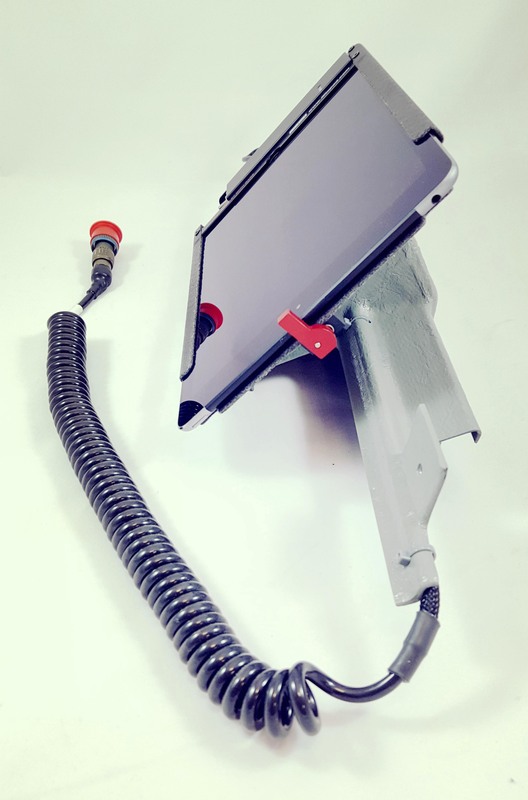 SCC is UK aerospace manufacturing company who have manufactured a unique iPad holder for the heads-up display for passenger airline pilots for fuel and flight performance statistics. The flight pad is made from carbon fibre composite for its incredible weight to strength ratio, enabling the use of very thin wall thicknesses. Moulded with an A-class finish on the inner side and using a special non-crease ML30 Halar film on the outer side for a smooth yet tactile raw carbon finish. The iPad holders are used in new and existing fleets of Airbus A320, Boeing 737 & McDonnell Douglas MD-80 worldwide to accommodate the needs of modern day airline pilots. Whether you’re a new or existing customer, give us a call and we’d be happy to help you find the best materials and processing method for your application. Click here to get in contact. With the ever-increasing use of software being designed for iOS devices, iPads are now being utilised throughout the aerospace industry for a multitude of application, and not just for entertainment purposes. In this case SCC worked with a world renowned 3rd party aerospace modifications client to manufacture this high-tech iPad holder being used as a sturdy heads-up display for passenger airline pilots; to monitor their fuel and flight performance statistics during flight and before take-off. Now being used in new and existing fleets of Airbus A320, Boeing 737 and McDonnell Douglas MD-80 by airlines worldwide. The iPad holder is quickly becoming the industry standard fit-out for cockpit installs of various other air craft due to its simple, yet robust and lightweight design. Designed by an internationally renowned third party aerospace modifications firm, the iPad holder is made to marry up with the interior body work of the cockpit for seamless fitting. The structural aspect of the holder is manufactured from two composite components and an articulating aluminium joiner. One composite shell carrier for interfacing with the iPad itself and a mounting bracket to match the interior body work of the aircraft cockpit and an adjustable aluminium joiner to connect the two. 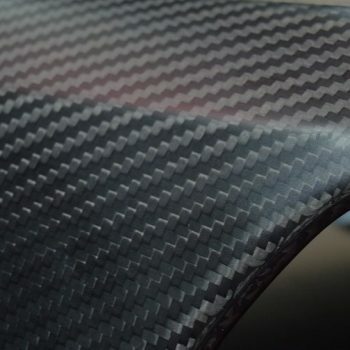 Carbon fibre was selected to take advantage of its incredible weight to strength ratio, enabling the product to be manufactured with very thin wall thicknesses to produce a sturdy and maintenance free component that is very unlikely to break throughout its entire life commissioned within the aircraft, due to its simplistic and robust design. The holder is moulded with a completely A-class finish on the inner surface for cupping the iPad on insertion and is lined with soft and lightweight neoprene pads at every contact points with the iPad, for shock and scratch protection. The outer face of the holder is moulded using a special non-crease ML30 Halar film to ensure that all surfaces exposed to autoclave pressure are moulded smooth with none of the creases associated with normal vacuum bag processing. 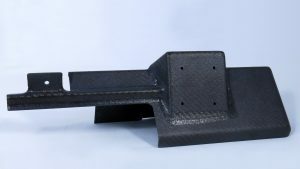 This produces a tactile yet smooth carbon fibre finish producing a comfortable and grip-able surface to the holder and is a natural product of open mould curing. As an AS9100 accredited supplier of composite components for Automotive, Aerospace, Space and Defence, SCC is well equip for providing manufacturing solution from both short and long time scale project. To see our latest quality management system certificate and the scope of our works within the industry, click here. Thank you very much for reading. 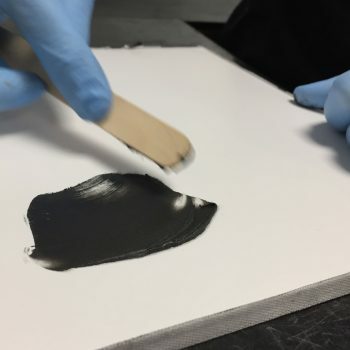 Whether you’re a new or existing customer, give us a call and we’d be happy to help you find the best materials and processing method for your application. Click here to get in contact.